Have you grown tired of those pesky visual launchers, festooned as they are with childish icons and backgrounds? Do you have a good memory, and typically carry an external keyboard about with your phone for quick bash sessions? If Stallman is your shepherd and he maketh you lie down in open-source pastures, then this app might just be for you. 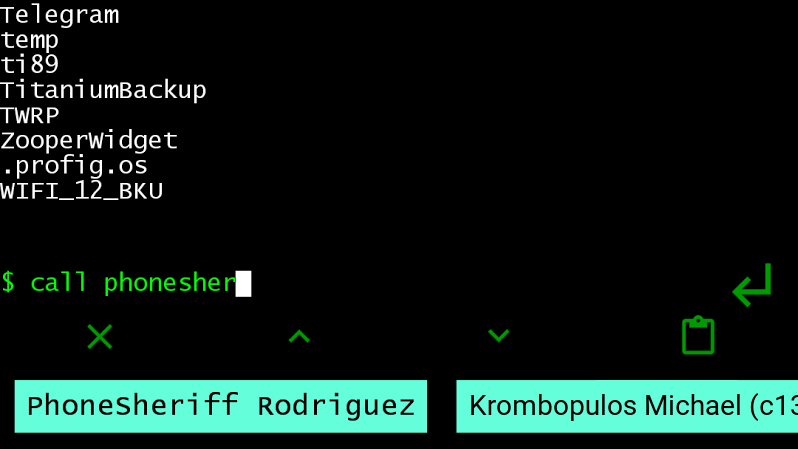 Linux CLI Launcher replaces your home screen launcher with a pseudo-Linux command line. The Android Asset Studio is an indispensable tool that offers quick icon and nine-patch generation, along with a device art generator that graduated to Google's official Android Developers site. 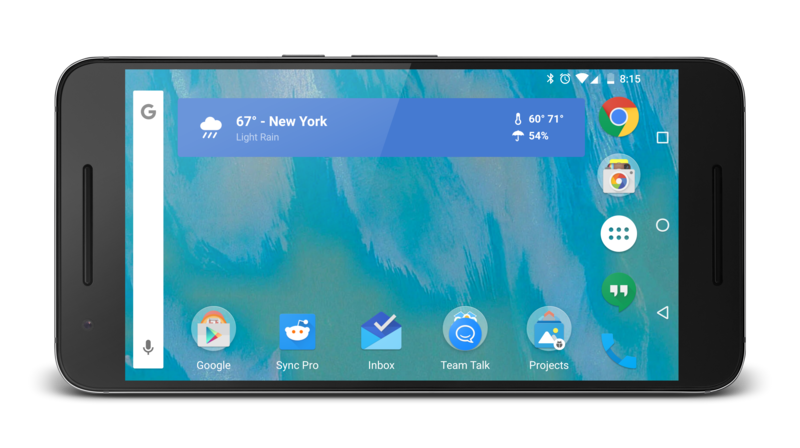 And since there are new Nexus devices (hopefully shipping soon), it's time for new shells to frame your screenshots. Today, the Nexus 5X and 6P joined the lineup. 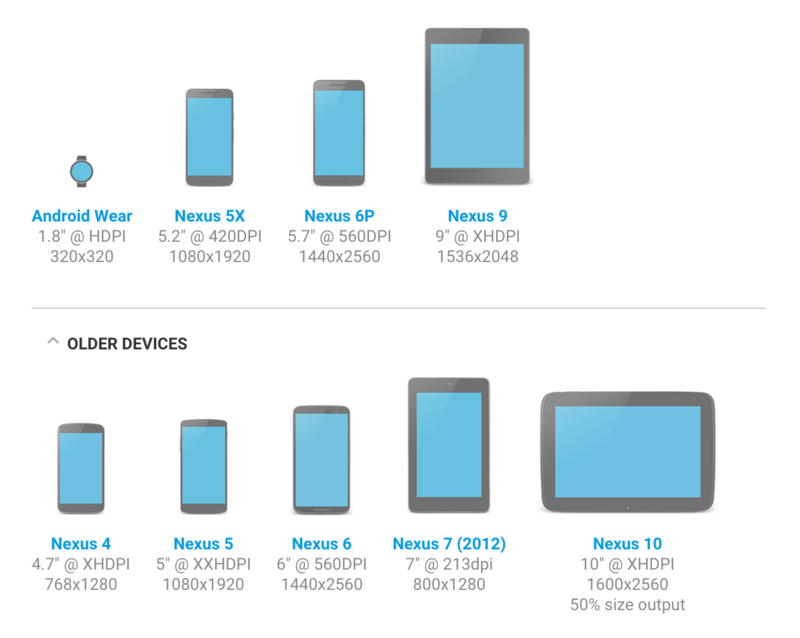 Of course older devices are still available under a separate dropdown - the Nexus 4, 5, 6, 7 (2012), and 10 are all represented though interestingly the Nexus 7 (2013) has fallen out of the selection. Google still advises developers not to use device frames in their Play Store collateral, since materials with device frames may end up looking dated and may distract from things like screenshots, but then again Google itself doesn't always follow this advice, right? Google let loose with a torrent of updates yesterday, many of which offered little more than bug fixes and fairly small changes. Drive and its lineup of editors made the list with a few improvements, but not much to get excited about. However, a little digging around revealed that a previously seen Easter egg has finally been enabled. Also turning up is one of the most shocking features yet, an actual terminal. The power users are going to love this. 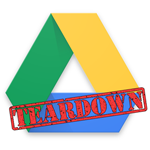 Disclaimer: Teardowns are necessarily speculative and usually based on incomplete evidence. It's possible that the guesses made here are totally and completely wrong. 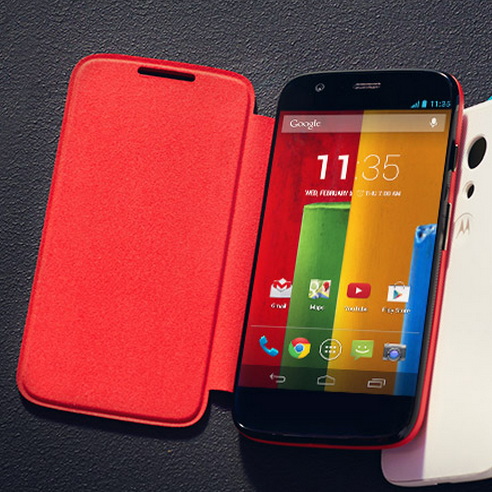 Motorola surprised us earlier this week with an early launch of the US version of their impressive Moto G budget phone. If you ordered one and want a little protection and/or flair for your new gadget, the accessories section of Motorola's official store has been expanded with shells (backplates) and flip shells for the Moto G. Like the phone itself, they'll ship out on December 2nd. The shells pop on and off of the back of the Moto G, not unlike the faceplates that were sold for old Nokia candybar phones. They'll run you $14.99 a piece in Chalk, Violet, Royal Blue, Turquoise, Lemon Lime, and Cherry colors. There is no shortage of launcher replacements for Android, but once in a while a new one comes along and takes the launcher experience to a new level. Such is the case with TSF Shell Pro, a new launcher currently in development by a team of developers who call themselves C3D. TSF, their brand, stands for The Special Forces, and special they are - just take a look at what the team cooked up. TSF Shell Pro has a UI so polished that your favorite launcher will feel like it was designed in 1999. How about 3D widgets with interactive modes and animations? I hate phone cases. When I bought my Nexus One back in March of 2010, the first thing I did with my very first smartphone was head over to Amazon and start searching for a cool and convenient way to protect it. 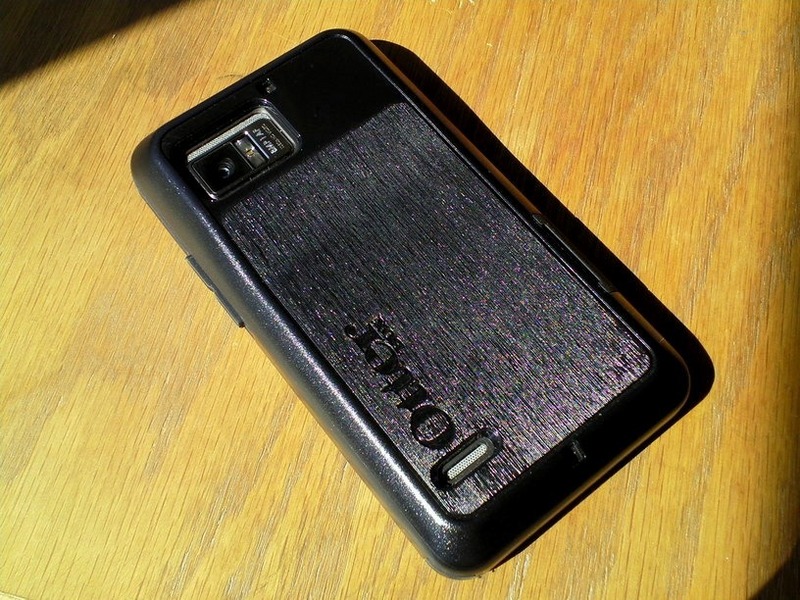 So I bought some leather ordeal with a flip cover and all sorts of gimmickry, and I hated it. I used it for 2 days, and since then, it has occupied my box of unwanted electronics and related accessories. It was probably one of the worst $25 I ever spent. I swore off cases from that day forward. 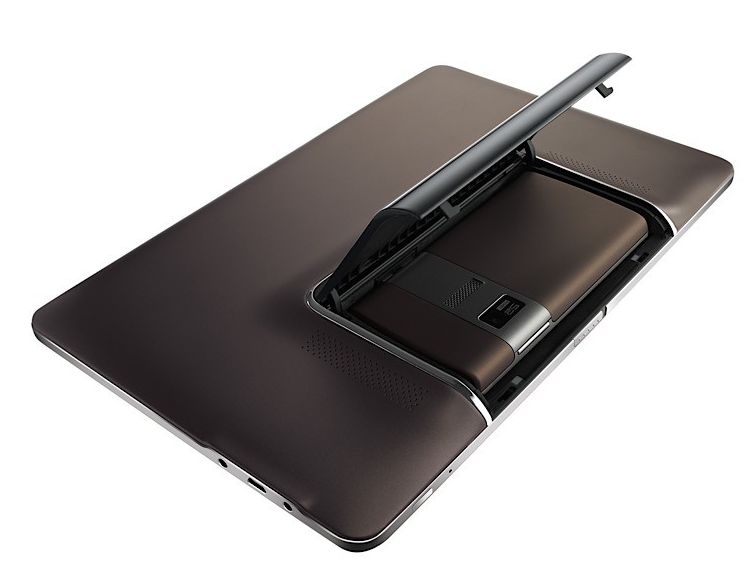 The Motorola XOOM, the world's first Honeycomb tablet, costs a pretty penny - between $600 and $800, depending on the variant. 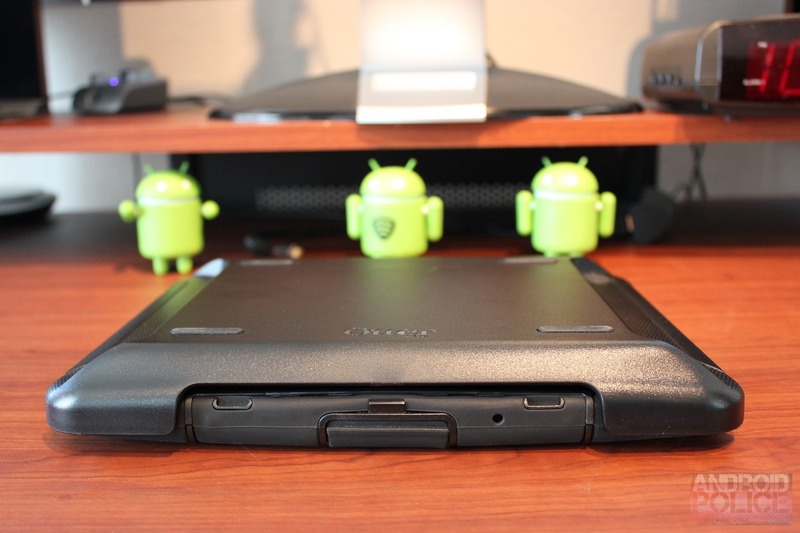 If you picked up a XOOM in the last few months, you've probably asked yourself whether you should get some sort of protection, and, if so, which option you should go with. 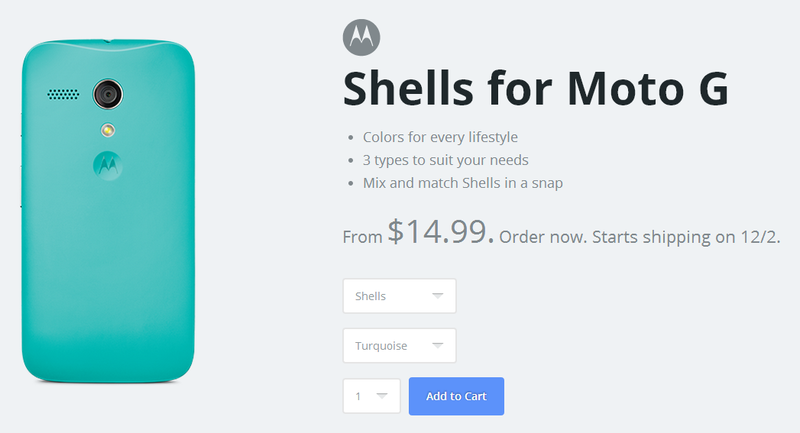 Motorola has released a few official cases, such as the $40 PORTFOLIO, but most aftermarket case manufacturers, such as Otterbox, Amzer, Trident, and others, haven't put out many options. The PORTFOLIO case, while decently priced, has too many faults, and I simply can't recommend it unless it is reworked from the ground up: it appears to scratch the XOOM, has no charging port, USB, or HDMI cutouts (really, Motorola? We already kind of knew a tablet/phone tag team would be coming out of ASUS at Computex this week, so today's leaked press photos of the symbiotic duo, simply called Padfone, neither shock nor disappoint. What ASUS will undoubtedly officially announce tomorrow is a brainless tablet shell combined with a phone that fits snugly right in the back, held by this ridiculous-looking mechanism that teases my imagination with a world full of Russian Matryoshka-like devices that all fit inside each other. Update 5/30/11: It's official! See the press release towards the bottom. Just like with the Atrix, the phone will charge from the tablet's battery, and judging by Engadget's announcement photos, it looks like the phone will be running Gingerbread, while the tablet will be rocking Honeycomb.